Learning improv and enjoying improv activities is something all people should do. From kids first starting out in youth theater classes to adults participating in corporate training, the skills that you can gain from improv activities can help you in many facets of your life. If you want to give yourself, or your child, an edge, consider some of these benefits that improv can provide. Confidence is a great benefit from learning improv. You learn how to carry yourself, react in the moment, and gain the camaraderie that comes with everyone doing the same activity. Improv requires you to completely trust the other actors in the scene with you. You all have to work together as a team to successfully entertain your audience. While you may challenge each other, you’re always working together, not against each other. Friendship also comes along with fun improv activities. Whether you’re doing team building activities in NYC or taking acting classes on the other side of the world, being surrounded by people enjoying the same activities as you are creating instant friendships. These friendships and the memories created from improv can serve as a source of inspiration for years to come. Faster reaction time also comes naturally when you learn the skill of improv. You need to be able to react to what those around you are doing, so you gain the competitive edge of fast thinking while also having fun! This can be invaluable during debates or when being asked questions during interviews. By being able to think quickly on your feet, you will come across as more prepared and more knowledgeable than others. Spontaneity, flexibility and naturalism are all aspects of the fine art of improv. You’ll improve your skills at being an artist who thinks on your feet, able to return any comment with a witty or thoughtful reply of your own. Being able to improv makes you quite marketable as an actor – especially a stage actor, where something can go wrong while doing the play, and the show must go on! These moments can be terrifying, but if you’re trained in improvisational acting, you’ll know just what to do to sail past the area of difficulty. Some of theatre’s finest moments have come from improv, such as when Indiana Jones was attacked by the imposing swordsman in Raiders of the Lost Ark. Actor Harrison Ford was scripted to do all sorts of whip tricks but, because he wasn’t feeling well that day, “shot” his skilled antagonist and created an iconic scene still humorous today. In 2017’s Thor: Ragnarok, eighty percent (80%) of the dialogue was improvised, resulting in a multi-million dollar blockbuster known for its comedy and witty repartee (information on both obtained from the International Movie Database). Imagine you being the famous actor who is known for such skill and humor. 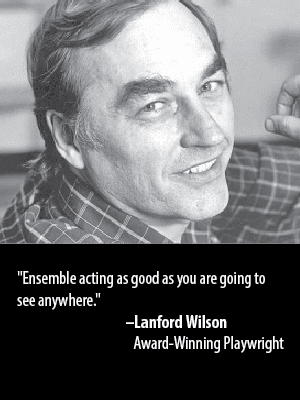 Many directors value an actor able to improv a scene, especially in certain types of comedies. Imagine working alongside an A list comic, trading words with her or him, keeping the rhythm of the scene going while keeping your director laughing at your wit and skill. The Barrow Group’s New York City acting and film school will hone these skills until you achieve mastery of the fine art of improv. It’s not all just fun and games with our improv classes. It’s a challenge building the kinds of relationships and spontaneity needed to succeed. But there’s a thrill inherent in the completion of an effective exercise or challenge, one that causes the participants to strive harder to achieve mass success. Word association, being given a location and told to create a scene, and having a role placed upon you, such as astronaut, and working with others in the scene where you have to give clues so they can guess who you are, are all basic assignments that helps your ability to think on your feet and get free with your voice and body. Improv helps that awkward stage of not knowing what to do with your hands, because it often requires full body involvement. No more uncomfortable just standing there, hands clasped together. You’ll learn to invoke gestures that get your point across in the best way possible. Eventually, you’ll be a more effective actor or business professional, able to communicate what you will with ease and skill. Have you always wanted to be able to think and react on your feet, deliver witty repartee, have an answer to everything, or all three? 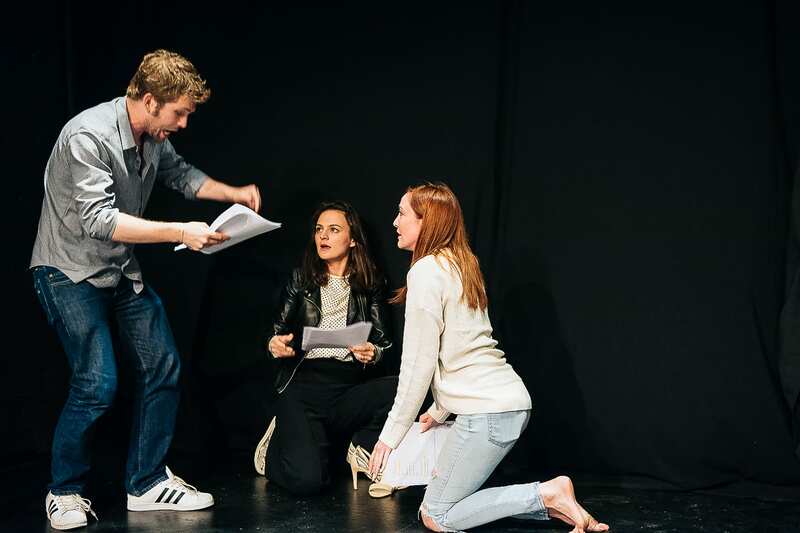 The improv activities you will learn at The Barrow Group’s acting studio in New York City will suit you well in achieving that goal. In the vein of such popular shows such as “Whose Line is it Anyway?”, you’ll be given topics upon which to expound, and you’ll learn the mental nimbleness to do so easily and without much forethought. This is also useful in the world outside of improv. For instance, in the art of conversation. If you’re at a family get-together or corporate event, you’ll never be at a loss of what to say. Your entertaining banter and quick quips will make you the life of the party and contribute to your enjoyment of the function. There’s nothing worse than standing there at a loss for words. If you take part in our improv activities, those days are behind you. Improv is also useful for presentations with a question and answer period. You’ll appear cool, collected and clever as you respond with humor and dignity, whichever is called for in the moment. Want to learn more? 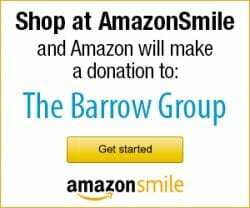 Come check us out at The Barrow Group! Most people only think about attending acting classes when they want to pursue a career in acting. However, there are other reasons that a class about acting should be considered. If you want to learn how to handle yourself prior to having to give a big presentation, acting classes should be sought out. If you get nervous or struggle to keep a small group’s attention, this can also be overcome by seeking out a class directed towards actors. Just because you are not necessarily devoting your life to being on stage or film, doesn’t mean you couldn’t benefit from one of the classes held by The Barrow Group.